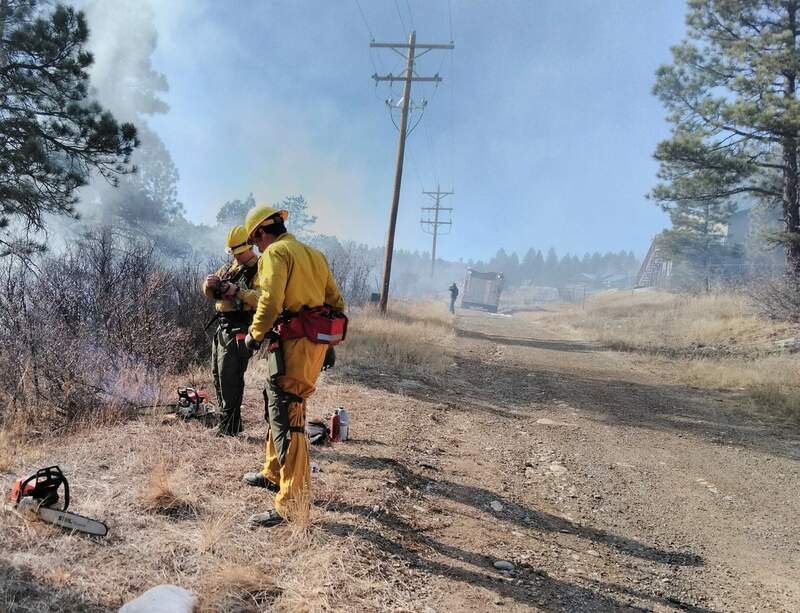 Firefighters from the Durango Fire Protection District worked Friday afternoon to contain a 3-acre blaze that broke out about 12:30 p.m. near a series of informal trails just south of the Durango West I subdivision. 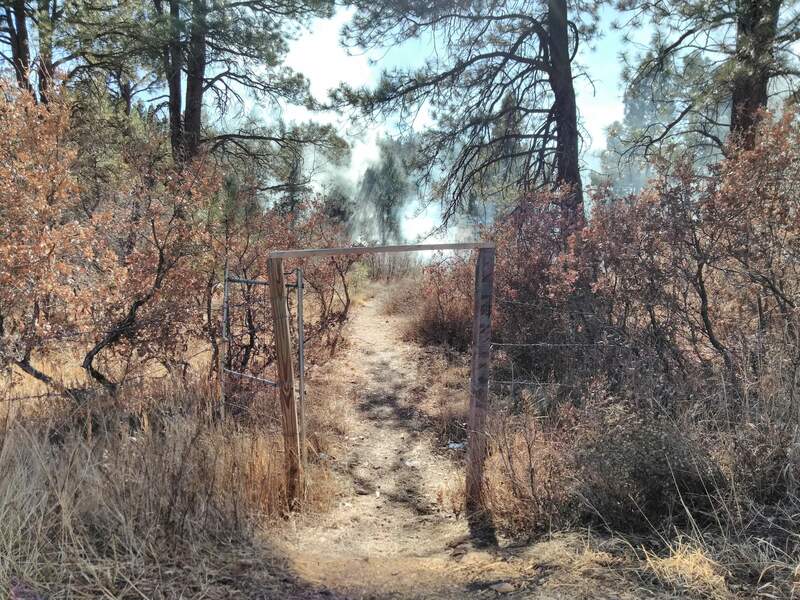 Durango Fire Protection District Battalion Chief Rod Allen said, “If you’re out there on the trails, just be careful with fire. If we could get a little snow or moisture, it would really help us. But it is just not happening for us.” Seventeen DFPD firefighters responded to the 3-acre blaze that broke out about 12:30 p.m. Friday. The initial starting point of the fire that ignited about 12:30 p.m. Friday near homes in the Durango West I subdivision was only a few hundred yards from homes. Firefighters begin mopping up a 3-acre fire burning along the southern edge of Durango West I subdivision, about eight miles west of Durango city limits. No structures burned in the fire. Firefighters battle a 3-acre fire Friday along the southern edge of Durango West I subdivision, about eight miles west of Durango city limits. No structures burned in the fire. 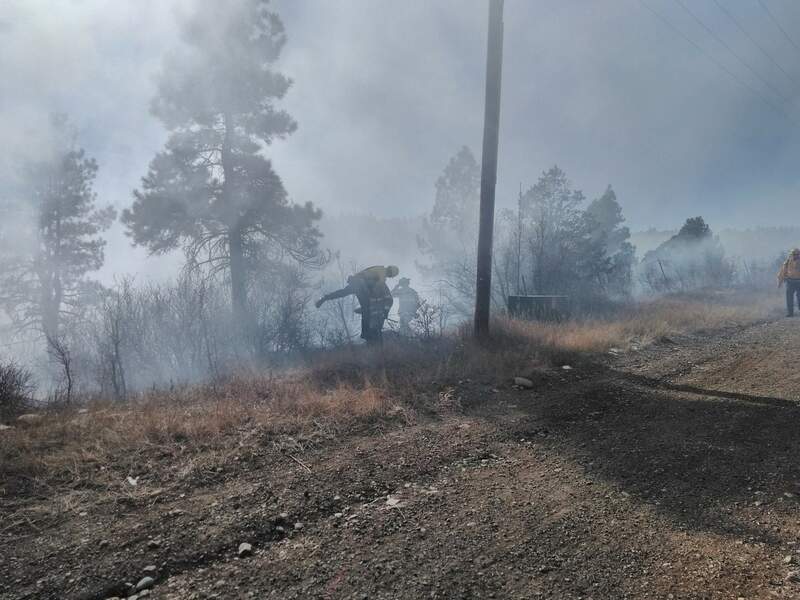 Firefighters contained a wildfire near homes in Durango West I subdivision, about eight miles west of Durango city limits Friday afternoon. 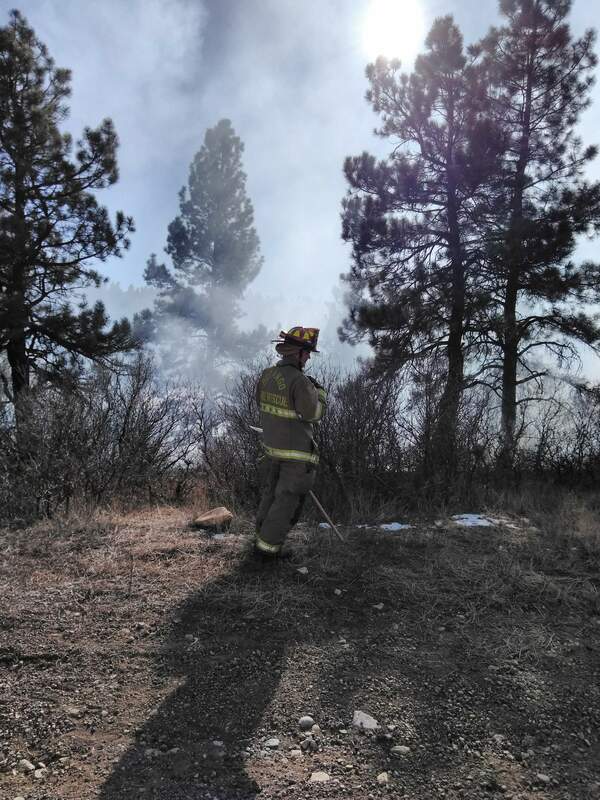 Durango Fire Protection District Battalion Chief Rod Allen said firefighters were called to Wood Crest Drive about 12:30 p.m. Friday for a report of smoke in the area. 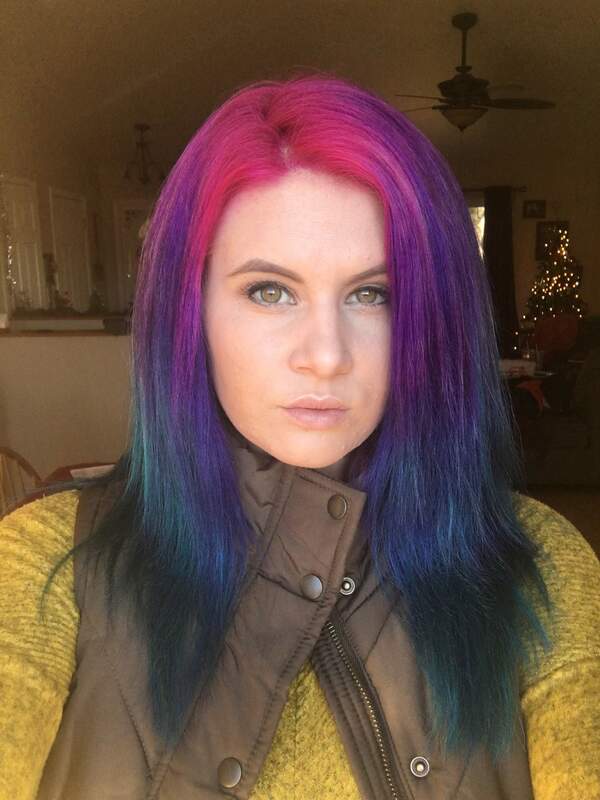 “It was a grass and brush fire. There may have been a couple of trees, but it was a grass-spread fire,” Allen said at the scene. Seventeen firefighters, three tankers, two engines and two brush trucks responded, Allen said. 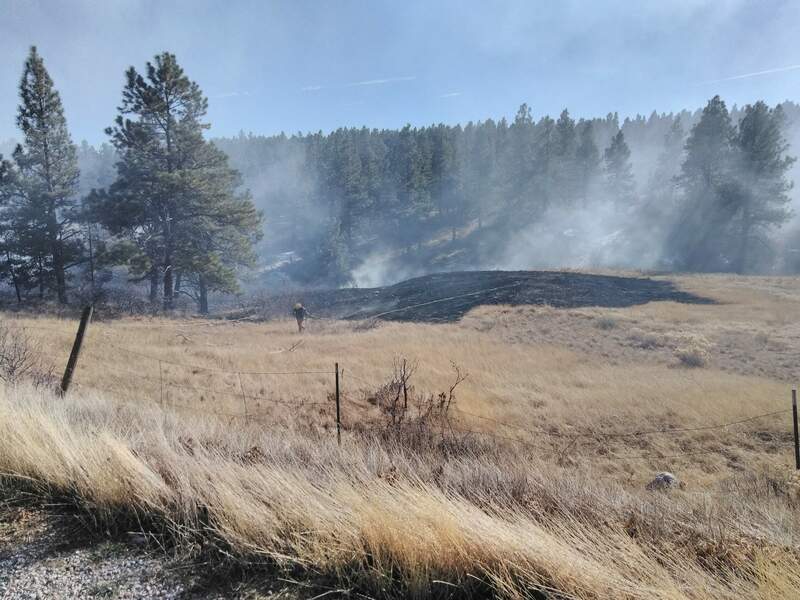 In addition, two deputies with the La Plata County Sheriff’s Office initially responded to the blaze estimated to be about 3 acres. Allen said firefighters would continue to mop up the fire until dark and then make an assessment if someone should be left overnight to monitor the fire, but he said he thought monitoring overnight would not be necessary. He said firefighters would return to the scene Saturday morning to assess the burn area. The cause of the fire is being investigated. Firefighters initially used a system of informal two-track mountain biking trails adjacent to the subdivision to build fire lines on the north side of the fire to separate the blaze from the subdivision, Allen said. Once that was accomplished, firefighters worked to build lines along the south side of the blaze. More deputies arrived later to prepare for evacuations, but Allen said evacuations were never required, even though the fire started only about a couple hundred yards from Durango West I homes. Fortunately, the fire moved south away from the subdivision. Alisha Hinkley, the homeowner closest to the blaze, said her husband, Calvin, spotted the blaze and started hosing down the property, and he grabbed his chainsaw while she called 911 and rounded up her two young children to prepare to evacuate. “It got into the brush, and it’s so dry. It was like immediate boom, and it was off,” Hinkley said. Hinkley credited a small tanker truck stationed at Durango West I with providing enough water to suppress the blaze during its earliest stages to prevent what could have been a bigger fire. “It was the difference – the small amount of water it provided,” she said.